^ Feldgrau website. Feldgrau Statistics and Numbers. Atkinson, Rick. 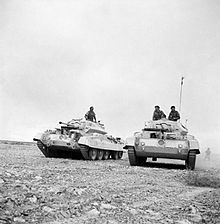 An Army at Dawn: The War in North Africa, 1942-1943. Abacus. 2004 . ISBN 0-34911-636-9. Playfair, Major-General I.S.O. ; and Molony, Brigadier C.J.C. ; with Flynn R.N., Captain F.C. & Gleave, Group Captain T.P. Butler, J.R.M, 编. The Mediterranean and Middle East, Volume IV: The Destruction of the Axis Forces in Africa. History of the Second World War United Kingdom Military Series. Uckfield, UK: Naval & Military Press. 2004 [1st. pub. HMSO 1966]. ISBN 1-84574-068-8. John, Paul. World War II Study - Case Study North Africa. 1997. Zabecki, David T. Battlefield North Africa: Rommel's Rise And Fall. Military.com World War II. 2000.